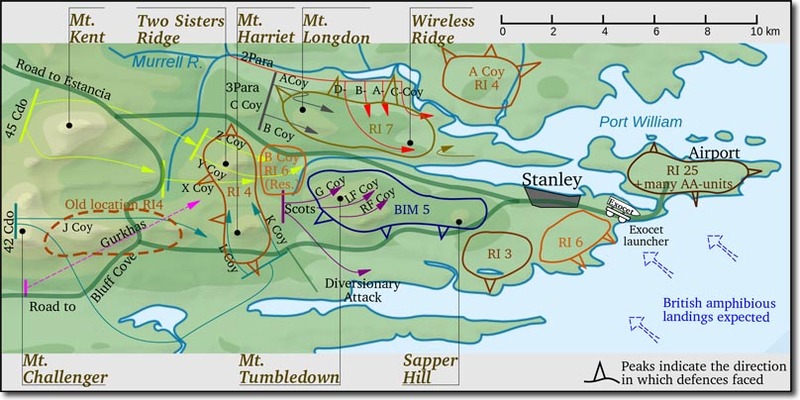 This map shows the dispositions as the British approached Port Stanley. There were a series of hills surrounding the port with extensive Argentine defences and minefields. In the end, the war was fought and won on these heights as the Argentine's surrendered before the British even got to Stanley.